Did I get away with some trickery in issue #5? There are some things you can do in movies or a TV show that you just couldn’t do in a comic and vice versa. For example, one trick that I’ve seen used in comics many times is a silhouette of a figure talking to someone and as the reader you have no idea who this is. In a movie or TV Show you could possibly recognise this by the characters voice but with a comic all you have to go with is their outline as the speech bubble most likely gives no clues. 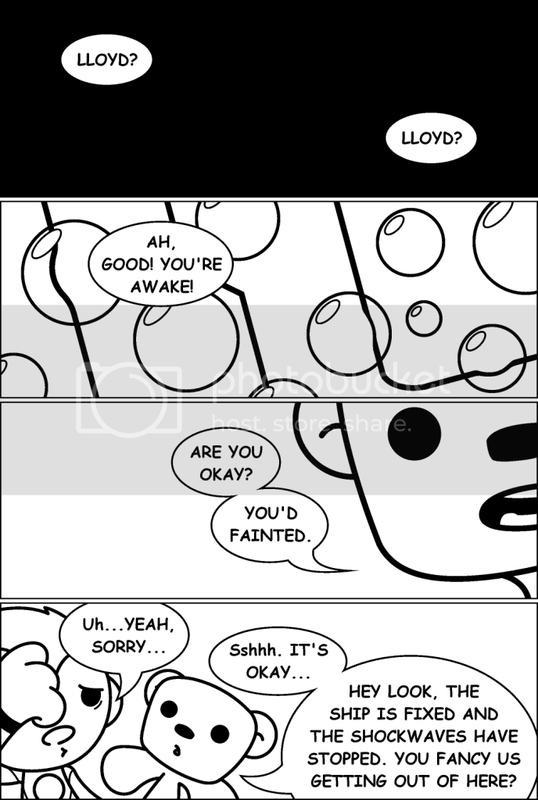 Back when I originally put together the Lloyd and the Bear comics in B&W I realised that there would be some scenes that would just look so much better in colour. It was because of this I wanted to try doing something that would really work in B&W and so I came up with some trickery on page 12 of issue 5. 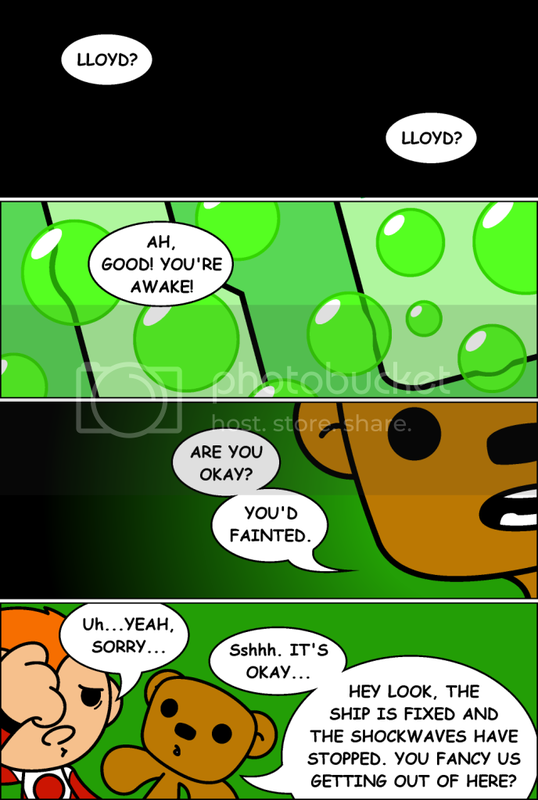 So yeah, I’m hoping when you read this you took it that the opening three panels were all from Lloyd’s point of view as he regained conciousness. Is that still Lloyd’s point of view? Aren’t those bubbles in the second panel? If they are bubbles then where’s that scene supposed to be? And who is talking? Uuuuuuuuuh? Okay, I’m being a bit of a tease but I can say that this is the start of a story thread that will continue to work it’s way along this story arc and kick off big time in the third LatB arc which begins in issue #9! I really can’t wait to get that story out!!!! Shifting to other news though I do plan to update the blogs on a more regular basis here but my main focus just now is getting issue 5 completed which will hopefully be this weekend. I’ll be back very soon though with some more updates for you! Promise! Bear hugs!